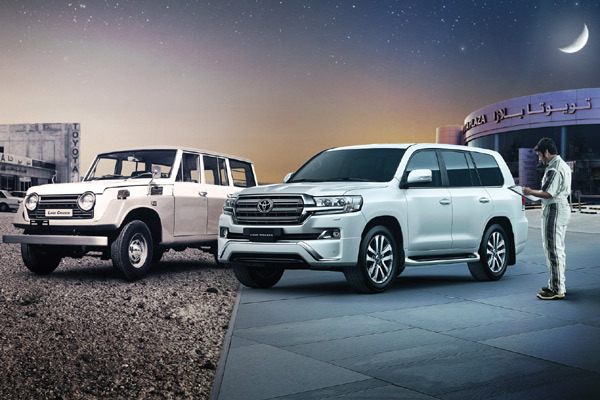 Ebrahim K Kanoo, the sole distributor of Toyota vehicles in Bahrain, is marking the 50th anniversary of its successful partnership with Toyota Motor Corporation with the launch of special Ramadan sales and service campaigns. The sales campaign, which runs from May 15 to July 15, offers free one year/20,000 km service on all SUVs as well as reduced prices on most passenger models, with the Yaris 1.5 L starting from BD5,299; the Corolla starting from BD6,299; the Camry starting at BD7,799; and the Innova starting from BD9,499. The promotion also gives car owners the chance to take advantage of attractive financing schemes and rewards, including zero down payments and low interest rates, in addition to discounts of up to 25 per cent on all Llumar window tinting services, said a statement. Meanwhile, the service campaign, which runs from May 15 to June 22, allows customers the chance to win valuable prizes worth a total of $50,000 when servicing their Toyota vehicles. In addition to that, customers get a 25 per cent discount on labour and parts charges, 10 per cent off on their next service visit during 2017, up to 25 per cent discounts on Llumar and Ziebart car care services, Michelin tyres and Kanoo Smart Repair Services. For each service performed during the campaign, customers will be entered into a raffle draw for the chance to win a prize from a total of 154 prizes worth $50,000. This includes five daily winners of $200 and four grand prize winners of $5,000 throughout the duration of the campaign, the statement said.